This was taken while on a drive last Saturday: It was rainy and snowy, but I was determined to get at least one outdoor shot. This is about 60 miles or so north from where I live. I heard they were turning some of those old Barns into Churches. That looks like one. Lovely Beth...Amish country, I presume? gorgeous. reminds me of some barns I've seen in upstate ny. happy ww. LOL--looks just like my inlaws barn! Well minus the garage in the background. Depending on which way you drove, you were probably pretty close to their house! I love red barns, they remind me of home! We had several once upon a time, but they are so old and keep falling down. We only have one left. What a big building which simply dwarfs the side buildings. 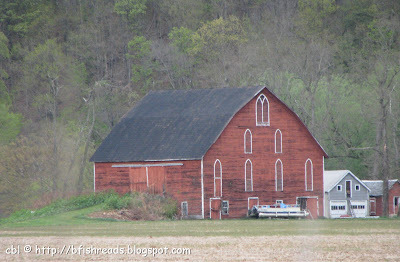 they painted barns red for practical reason...but they look so pretty. Pretty building and nice shot. Lovely photo . ..could almost be Vermont and anywhere else in New England. Makes me homesick. Perfect red barn! Great shot. That's such a beautiful and classic shot. Last Saturday was snowy? Wow! That is some barn. Great photo, Beth. The window design on the gorgeous old barn is very cool. :) Happy WW! Oh, this one is absolutely wonderful! But couldn´t they remove that ugly thing in front of the barn? I love those old barns. There must be hundreds of them out here in the West. The collapsed ones are left to return to the earth. I'm convinced there is a law that says you can't haul off the bones. Very nice barn. There's a barn near my hometown that I always wanted to take pictures of. It's a rather narrow barn, with three or four levels to it. The property has a sad history, though. I love this photo! It reminds me of life in Brandenburg, KY. Boy how I miss it! 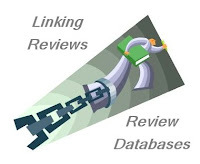 Thanks for stopping by and linking your post up over at my place. Have a great day! 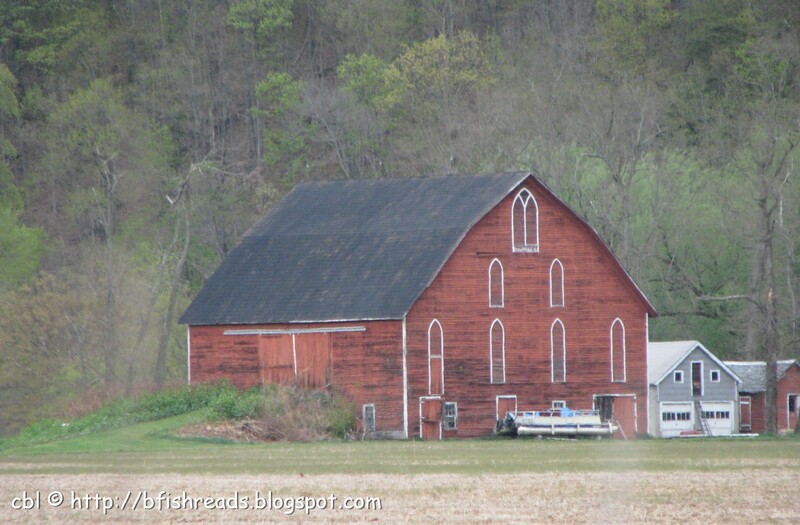 Neat, a barn that looks like a church. Nice picture. Great barn, we used to take vacations near an Amish community and I always loved the simplicity and beauty of their buildings. What a great barn (and photo). It looks so peaceful. Beautiful. It just looks peaceful and serene. Wow, that's amazingly beautiful....and so is your header! I love it here. I feel so calm and peaceful all the sudden. Thanks for stopping by my 1st WW! it isn't all sopranos and pollution here in nj!! Gorgeous picture - it makes me want to see the inside! looks like it belongs in a frame--nice job. What an amazing barn - I LOVE the windows! gorgeous, like a barn church. What a cool shot! It looks so serene and lovely there. This is a very pretty picture. I like!